Acrylic. Faux Pockets. 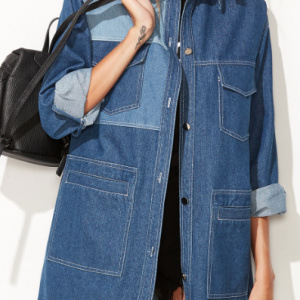 Perfect over that executive dress, or pare down with jeans and a tee! 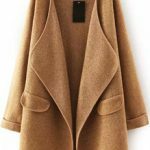 This long sleeve sweater coat with a stitched pocket loose cardigan feel comes in khaki or gray. 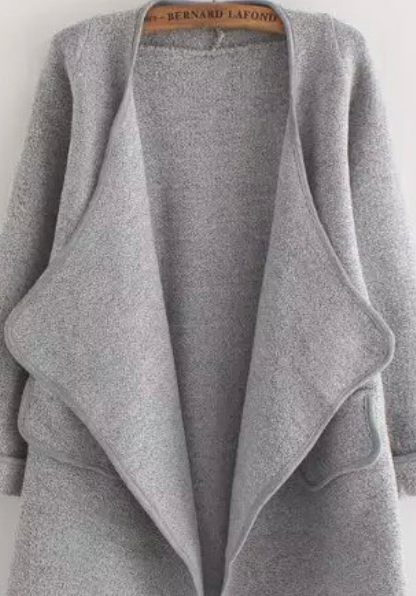 This wool blend long sleeve sweater coat fits like a jacket and has a structure that holds its shape. 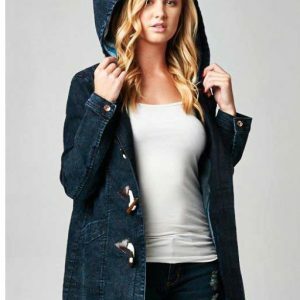 This sweater coat is perfect for that early morning cool breeze, or a late night out on the town. The lightweight feel provides comfort and warmth when needed. The colors are versatile solids that can be paired up with pretty prints underneath to give it an added touch of flair. 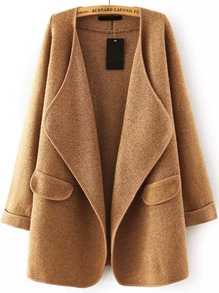 Long sleeve sweater coat comes in khaki or gray. Light shoulder pads provide wearability and help to hold its shape.